Adobe today launched the latest update to its subscription-based Creative Cloud suite. While the company is updating a variety of its tools, the main announcements are the addition of a tool for making subtle changes to a photo’s perspective and 3D printing support to Photoshop. Other new features include a new pencil tool for Illustrator, which makes drawing good-looking freehand lines and curves much easier. InDesign is getting better EPUB support and simplified (and smarter) hyperlinks. Typekit, Adobe’s font tool, is now bringing its fonts to the desktop, too, where users can easily access them from any desktop app and include them in PDF files and print projects. In addition, Adobe has made a variety of changes to make the design workflow easier across its different applications. As part of this update, Adobe is also resetting all of its 30-day trials for Creative Cloud. Anybody who ever signed up for a trial since its launch in May 2012 can now start another free 30-day trial. Given all the recent changes to Creative Cloud, Adobe decided that it was time to give people another chance to try the most recent versions of its applications before committing to a subscription. All of that is great, but the features people will likely talk about most are the changes to Photoshop and especially the addition of 3D printing support to what most people consider an application for photo manipulation. While you could always create basic 3D models in Photoshop, it’s clearly not a tool that was designed for this job, and Adobe freely acknowledges this. Because of this, the company assumes that you are bringing in models from a third-party tool and then finishing them in Photoshop. This means adding textures to these models, for example, and doing the kind of image manipulation fine-tuning that the product is best known for. 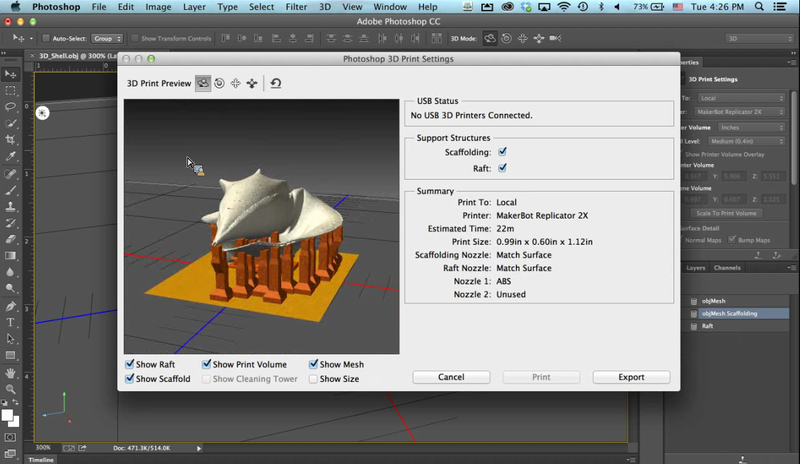 Thanks to a new partnership with MakerBot, Photoshop can now natively print to that company’s 3D printers. And because of a similar partnership with Shapeways, users can also easily print their designs on the various materials and color options available on that service. Photoshop will even estimate the price for these prints and provide users with previews based on the color and material that users choose. The whole process, Adobe believes, should be “single-click easy,” and it will add support for other services and printers over time. Besides the MakerBot, Adobe also supports other popular desktop 3D printers and users can always create their own device profiles for devices that are not in Adobe’s library yet. 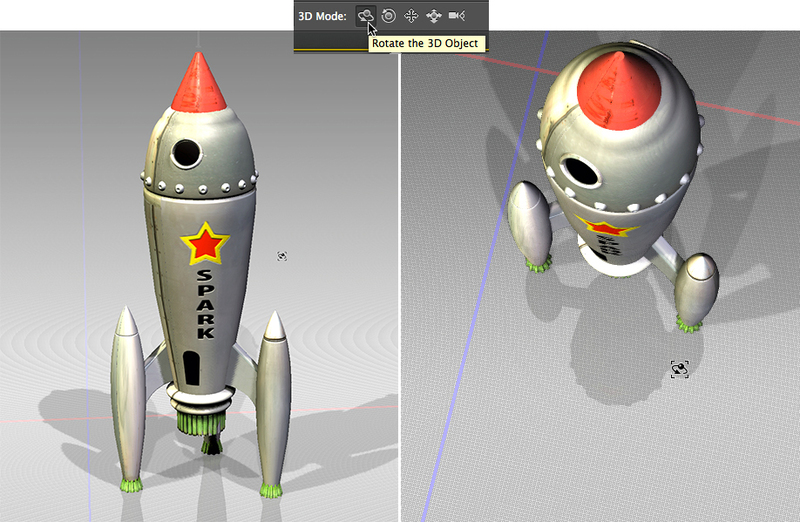 As part of this update, the company is also adding 3D model support to Behance. By default, Behance only displays JPEGs, but Adobe has partnered with Sketchfab to bring embeds for 3D models to Behance. Adobe is clearly very interested in 3D printing, and given its heritage as a company that caters to creative professionals, I wouldn’t be surprised if it continued to invest heavily in this area. Currently, Adobe doesn’t have any 3D modeling tools in its lineup, so maybe it will add this functionality to Photoshop or launch (or acquire) a 3D modeling tool. 3D printing isn’t the only cool addition to Photoshop. 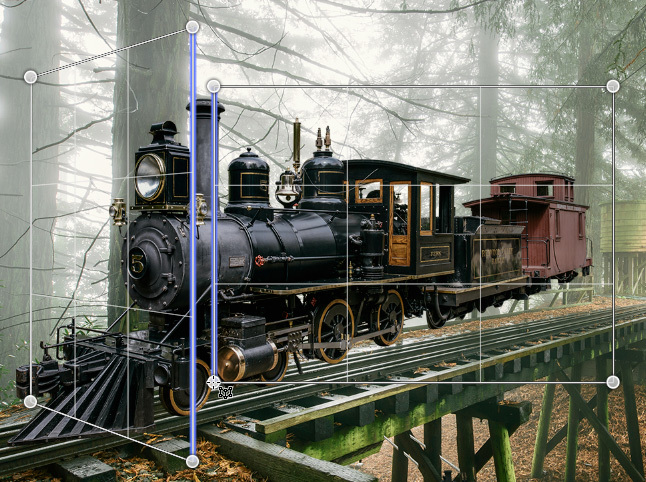 Adobe also announced the 3D Perspective Warp feature, which the company first showed during its MAX conference in May 2013. 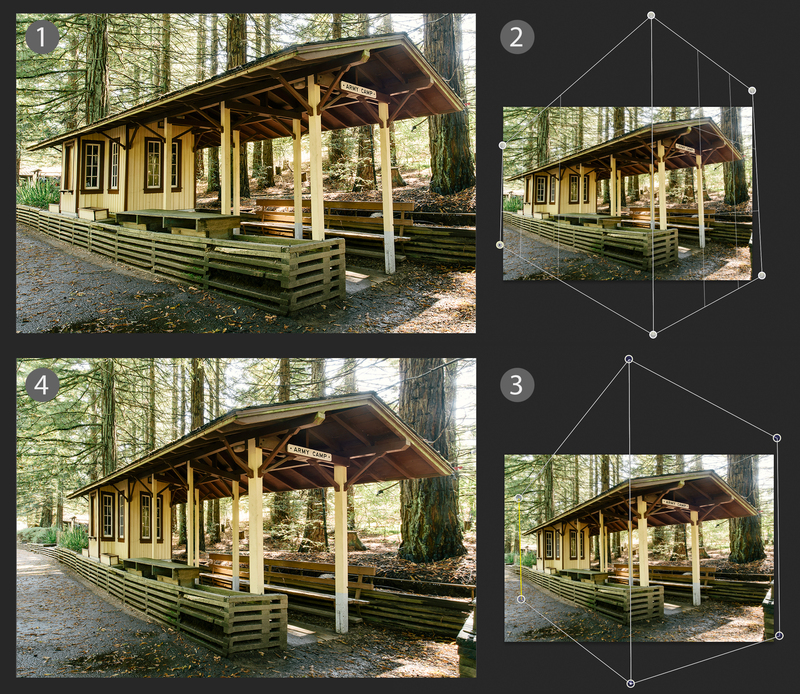 As Adobe design evangelist Terry White demonstrated during a press preview earlier this week, this feature is especially useful when you are working with composite images that include some assets that were shot from slightly different angles. While Photoshop already has a number of warp tools in its arsenal, none of them work very well for changing the perspective of an image without also turning straight lines into curves. With this tool, you simply draw the general outline of the object that aligns with the perspective. Once Photoshop knows the current perspective, you switch from the markup mode to the warp mode and adjust the perspective. For the most part, Adobe is marketing this as a way to fix older images with lens distortions or for compositing images. I’m pretty sure some enterprising designers will also find ways to use this quite a bit more creatively, too.